All the Meet Ups listed below are for May 17 unless otherwise noted. Glastonbury - Water fountain at Main St. and Hebron Ave.
Hamden 1 - along the Farmington Canal Trail, Todd St parking lot closest to trail and just off Whitney Ave. map coordinates: lat: 41.425117 long: 72.907389. This and the following 2 rides will arrive at the New Haven bike to work breakfast at 8:10 AM. Meet at: 7:10 AM. Info: Abe Parrish, abraham.parrish@yale.edu. Link route: link for the route at: http://goo.gl/maps/dEltR. Contact Abe if you want him to send a Glymse www.glympse.com, so you can see where he is in real time. Meet at: 7:30 AM. Info: Abe Parrish, abraham.parrish@yale.edu. Link route: link for the route at: http://goo.gl/maps/dEltR. Contact Abe if you want him to send a Glymse www.glympse.com, so you can see where he is in real time. Meet at: 7:45 AM. Info: Abe Parrish, abraham.parrish@yale.edu. Link route: link for the route at: http://goo.gl/maps/dEltR. Contact Abe if you want him to send a Glymse www.glympse.com, so you can see where he is in real time. 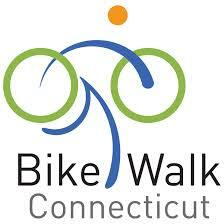 New Haven Area - Corner of West Rock and Edgewood, in front of Deja Brew Café, ride to New Haven event. Meet at: meet at 8 am for 8:10 am departure. Info: Liam Brennan, l.brennan@zoho.com. Plainville - Route 10 and 372 (linking up with the Cheshire ride). Wethersfield - United Methodist Church, 150 Prospect Street (right next to the Mill Pond Tennis Courts) ride into DMV or DOL . May 13 through May 17.